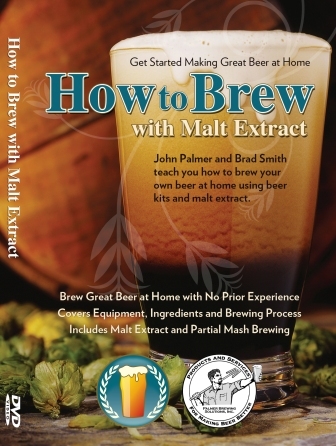 John Palmer and I have been working for several months on two home brewing DVDs – one on malt extract and one on all grain brewing. It has been a huge project – planning, scripting and shooting literally thousands of clips of the brewing process in full HD in a professional package. We intend to release both on DVD, Amazon Video and also in an online form. The first video in the series is oriented towards new brewers getting started with home brewing. The video covers how to get started including which equipment to purchase, what’s included with malt extract kits and brewing the beer from start to finish. The introductory price will be $19.95 and regular price will be $24.95. The all grain video is intended for intermediate to advanced brewers looking to step up from malt extract brewing to brewing directly from malted barley grains. This video covers how to brew all grain beer from start to finish including equipment, ingredients, mashing, brewing, fermentation and much more… Pricing and specific release date has not been set yet. Really cool idea. Even now, after I have been an all grain brewer for quite a number of years, I still cant get my head around how to construct a decent extract recipe. Not sure why, maybe its the ingredients available in Australia compared to the US, but all grain makes more sense in my head. Would be cool to see this and see if I can knock up something nice after watching it. Any chance of an “earlybird” special? 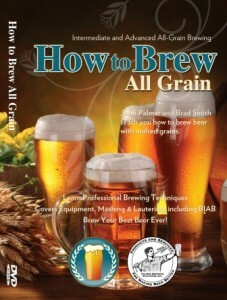 If you are going to do an educational brewing video, I can’t think of a better partner than JP. I like how you fit in the shot of the smart phone brewing timer in the trailer. I love the smart phone app and never brew without it anymore. Yes – we’ll be running a sale at $19.99 for the first few weeks after launch before we go to the regular price of $24.95. I’m beer lover and it is one of my dream to make my own beer and showcase it in a beer festival.